Using 1.1.1.1 Now - Much Faster Public DNS and More Private! Last April 1, 2018 Cloudflare ( a company that provides free and secure CDN for everyone today), deployed their faster and much more private DNS to the world. They announced the 1.1.1.1 public DNS. 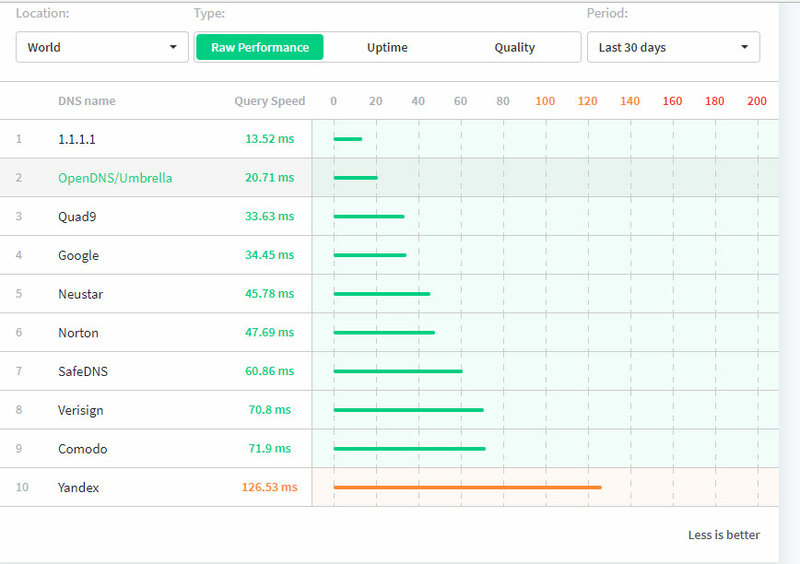 According to Cloudfare their public DNS is 28% faster than other public DNS out there. See the image below showing DNSPerf’s test of public DNS. Aside from that they assure the cyber community that they are not logging any activity of the internet users which mean that they value the privacy of each users. This is great news for those who are very concern with their privacy on the web. If you want to use Cloudflare’s Public DNS in your computer, simply use the following DNS for your Primary and Secondary DNS settings.